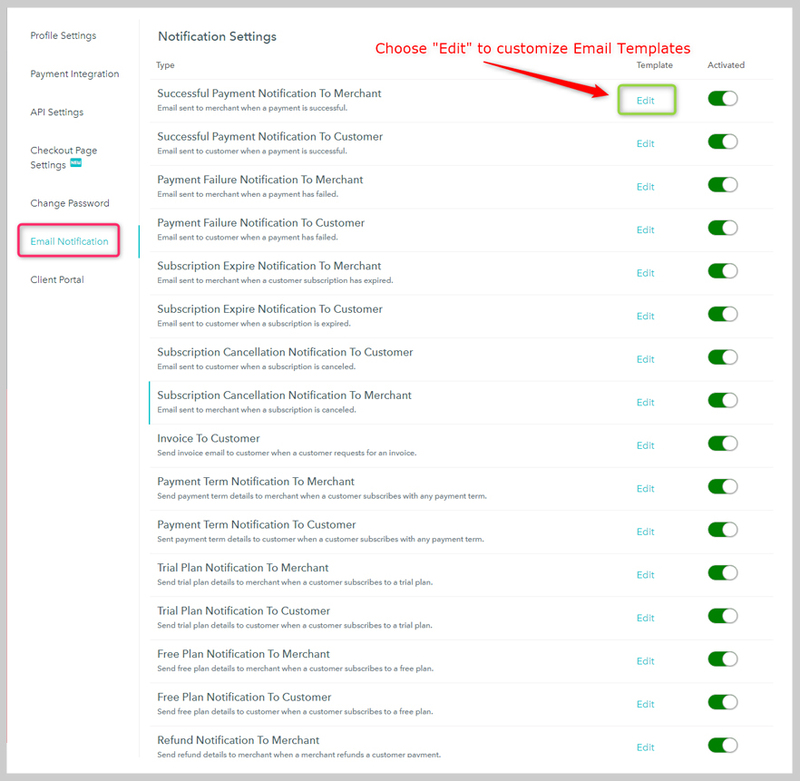 Before going ahead you must check out the quick guide of Pabbly Subscriptions – How to set up an account in Pabbly Subscriptions? Let’s get you all these Sections one after the other. 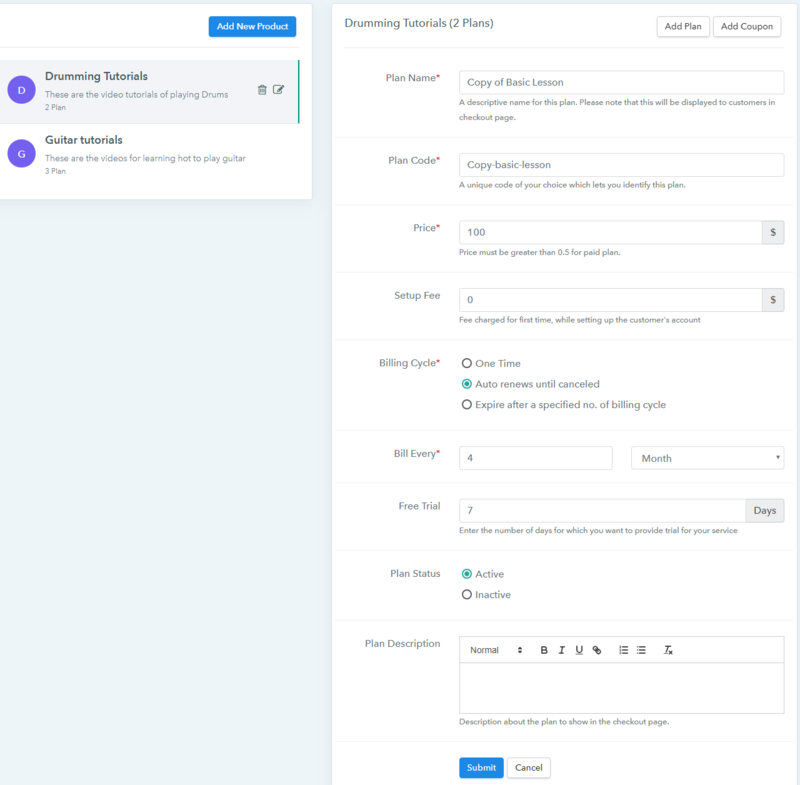 From the Dashboard, you can get an overview of your products such as Total Sales, Refunds, New Subscriptions, Canceled Subscriptions, Rebills. In the section below recent customer, details are mentioned such as active product, payment status, billing date, etc. Moreover, you can apply a filter on recent customers to view the desired customer. P.s:- These stats will be visible to you when you have products & subscriptions on your account. With Pabbly Subscriptions, you can sell SaaS-based products and membership. You must create a product before getting started. There can be multiple plans and coupons associated with a product. Go to the “Products” tab. Click on “Add New Product ”. 3. Fill the product details. 4. Enter ‘Name’, ‘Description’ and ‘Redirect URL’ in the respected section. Product ‘Name’ is the requaired feild. Go to the sidebar and Choose “Products”. Click on the edit button of the product and make the required changes. 3. Then, click on “Save” button to save the changes you’ve made. 3. How to set up plans for the product? Plans are the pricing for your products. 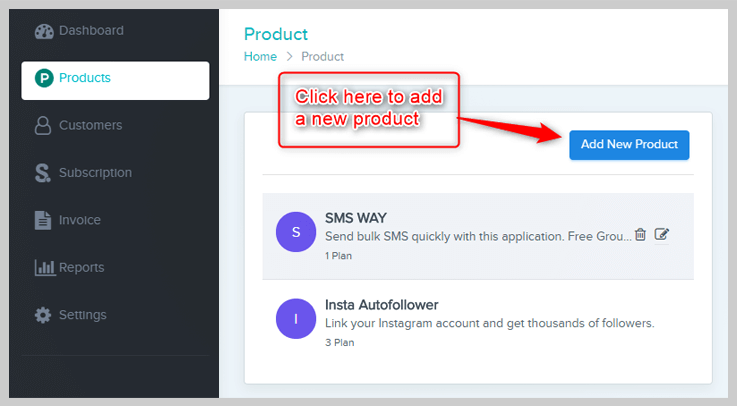 You can create unlimited plans corresponding to the product. 1. Go to the “Products” section and select the product to add a plan. 2. Click on “Add Plan”. For ex: if you’re offering basic services or features to your customer then you can name your plan as – “Basic” & when offering the advanced featured you can name it as – “Advanced Plan”. It will be displayed on the invoice that you’ll send to your customer. Here you can add a unique code of the product which acts as a unique identifier. Here you can add the pricing of a plan in a specific currency. Pabbly Subscriptions supports 25+ currencies such as Dollar, Euro, INR etc. You can charge customers a one-time amount setup fee for setting up the account. 1. One Time: The customer will be charged for one time only. 2. Auto renews until canceled – Customer will be charged as long as customer purposely canceled the subscription. 3. Expires after a specified no. of billing cycles – Here you can set the no. of billing cycles after which the plan will expire. (For a one-time payment, enter “1”). 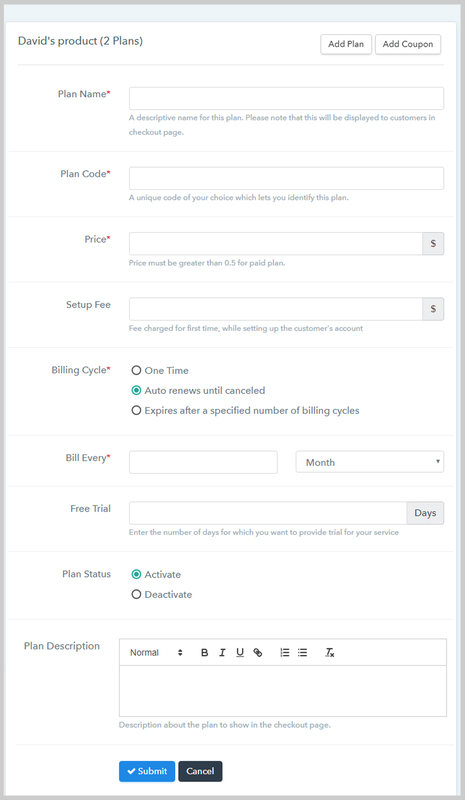 You can set the number of billing intervals on the weekly, monthly or yearly basis. If you set Bill every 1 month – Your customer would be charged every month on the subscription activation date. Here you can set up a free trial period for a specified number of days. For example, if you set 7-days or 60-days trial period then, your customer will be charged after that trial period. Here you can describe the plan of the product. Now, your products, their corresponding plans, and their buying links have been created. So, you are now ready to collect payments for your services. 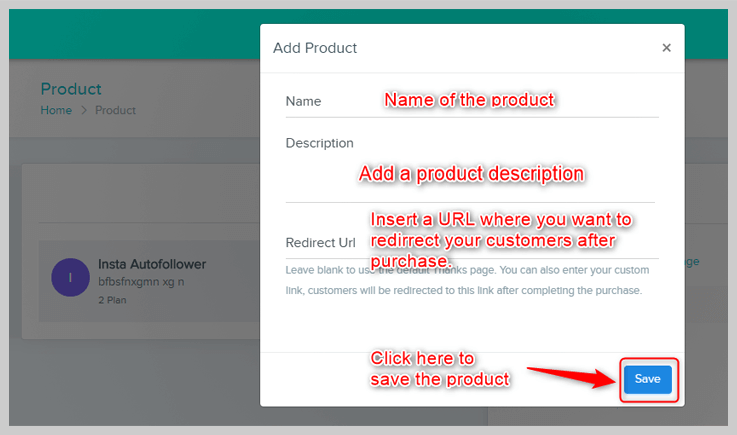 You can see the checkout pages of each plan and also copy the link and embed it on your website. 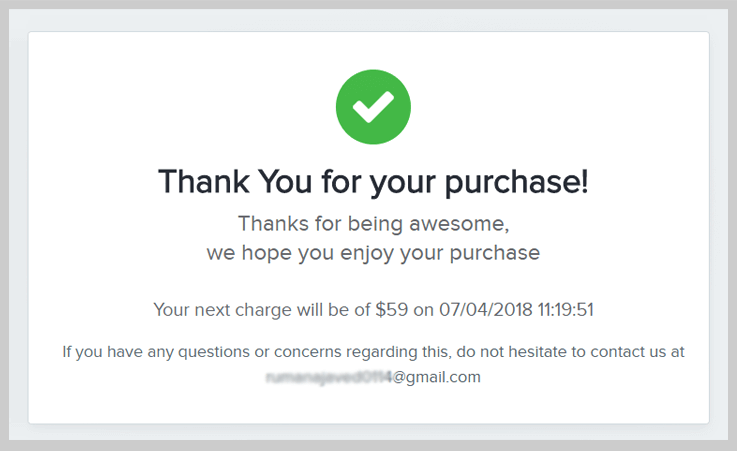 Default Thank You page displays your next billing amount, time, and date. There is a feature of plan cloning also. In case if you want to make many plans with some minor changes, then you do not need to always add a new plan. Just click on the plan cloning icon and the details will be automatically filled in the plan creation form. A customer is a person or businessman who purchases the services or goods from any service provider/company. In this section, the admin can see all the customers on a single page. Customers can be added in two ways. 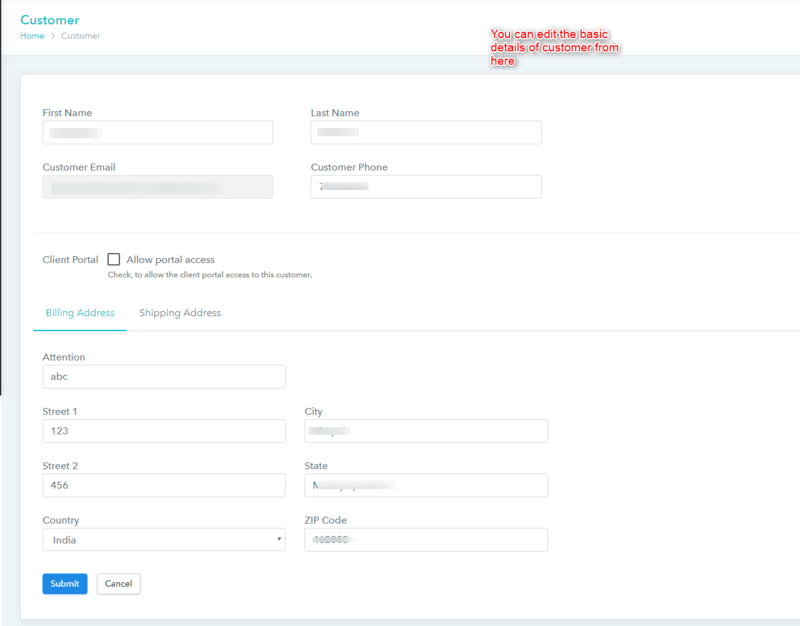 Whenever your customer subscribes to your products, then those customers are automatically added along with their entire details in the customer section. Go to the main sidebar and click on “Customers” section. Then click on “Add New Customer”. 3. Now fill the customer details. You can see the Billing and Shipping address on the customer overview section. 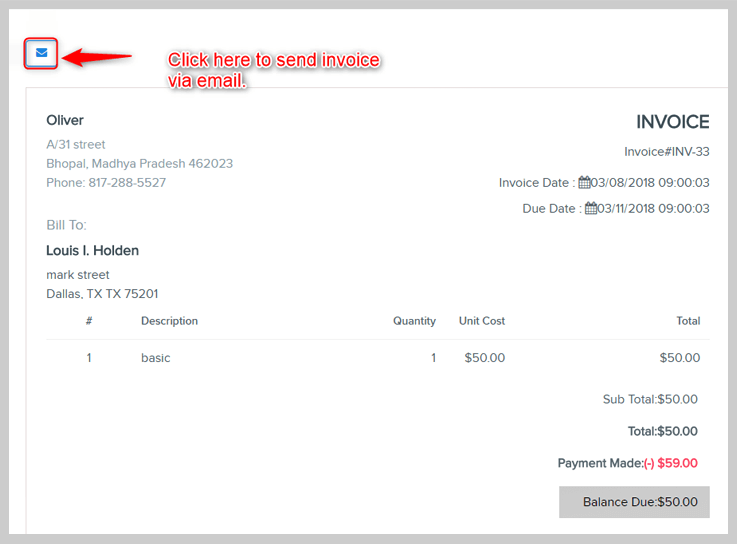 The Billing address is shown on the invoice also. 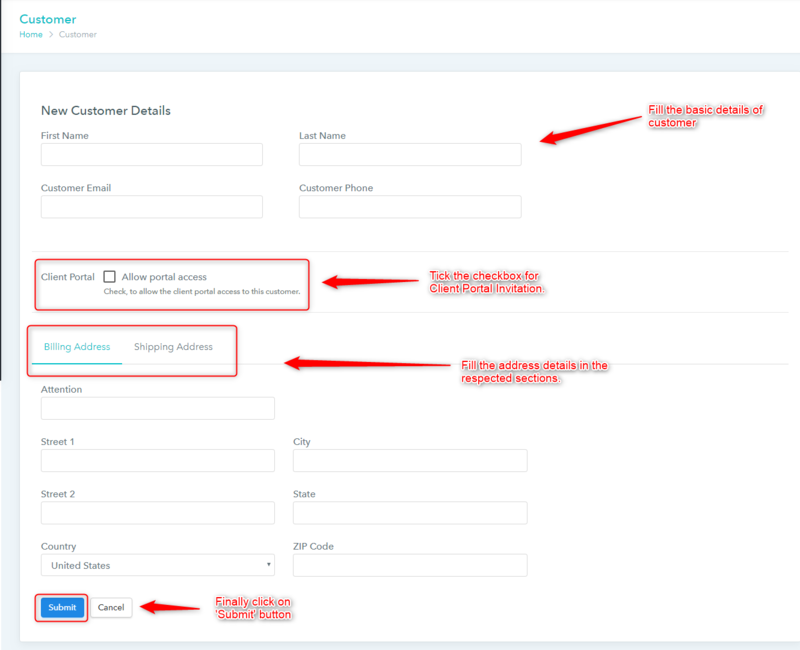 By clicking on the email id of a particular customer, you can see the details of the customer, their subscriptions, and transactions made by them. 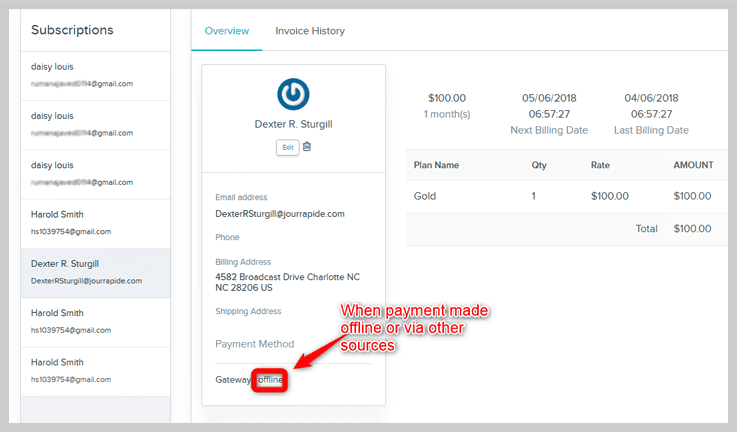 If you click on the Transactions option on the top right, you will be able to see the transactions, invoices, payments, credit, and refund. How to edit a customer? Go to the customer’s section. Click on the email id of that customer which you want to edit. Click on the edit button, just below the email id of the customer. Edit the customer details in the form. When a customer complete’s the purchase of any of your plan then the details are added in this section. How to add a new subscription via a hosted page/Online? 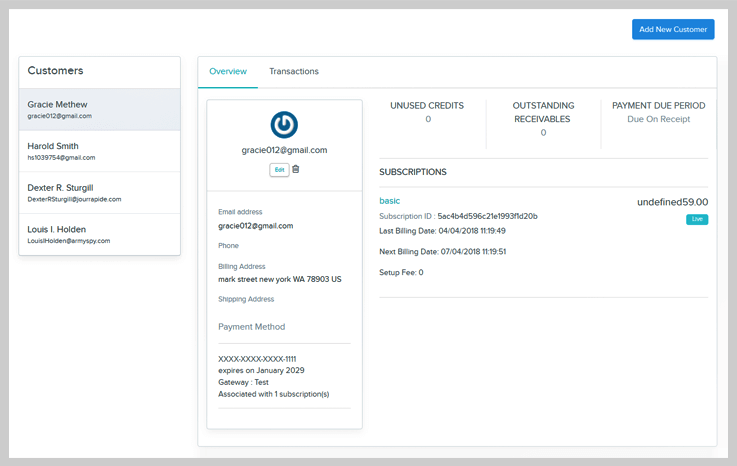 An online subscription is an automatic process, anyone who pays through your Checkout Page, Pabbly subscription automatically adds them as your Subscriptions to make it easier for you to manage and track transactions. You can create an online subscription via your hosted page or you can share the Url of your checkout page via emails or any other way. Now check your “Subscription” section, a new subscription is created on top of the list by the same email address. How to add a new subscription manually/offline? Click on the “Subscription” section from the sidebar menu. Now, Click on the “Add New Subscription”. Moreover, if you want to view the list of certain status such as “Live” so, you can also apply the filter on the list and view the subscription which arelive. 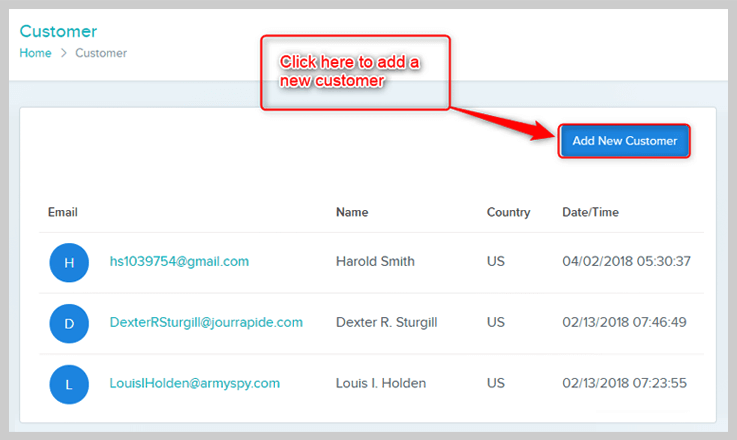 Customer Name – You can add a new subscription for existing customers. Email To – Send email notification to the customer’s id informing about the new subscription. Payment Term – Payment term is like how long your customer can pay. For example, if you select net 15 that means your customer has 15 more days to make the payment. This case is just the same with Net 30, Net 45, Net 60. Enter the start date when your subscription is activated. Specify the number of billing cycles, after which the subscription expires. Offline – Offline payment means the payment which you receive from other sources i.e., cash, cheque, and other payment gateways. 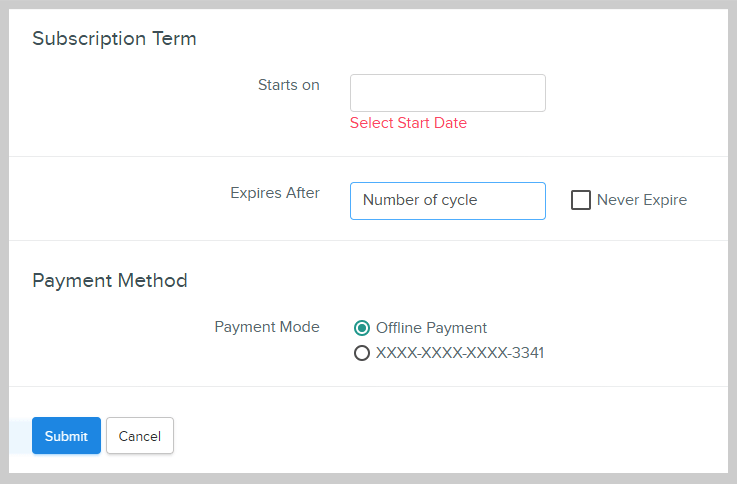 Then the Payment Method will be displayed as offline in the subscription overview. Online payment – Receive payment via Paypal or Stripe. Go to the “Subscription” section. Then, click on the email id of the subscribed customer. Now click on “More” button. Then select “Cancel Subscription”. Then you have to select when you want to cancel the subscription. 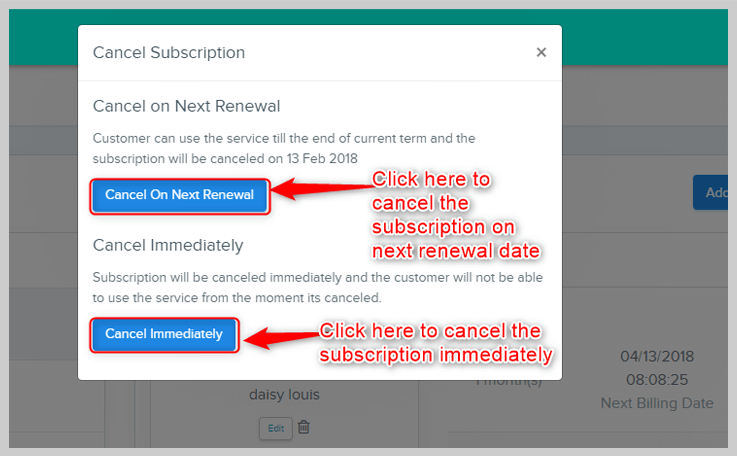 If you canceled the subscription immediately then it’ll show the status as canceled and on selecting “Cancel on Next Renewal” it displays the status as “Non-Renewing”. Invoices are generated by the system and automatically sent to the customer on every transaction. To view the generated invoices of customers. Go to the “Invoice” section. Now click on the customer whose invoice you want to see. NOTE:- If you offer free trial period then the invoice will be generated after the trial period is over. 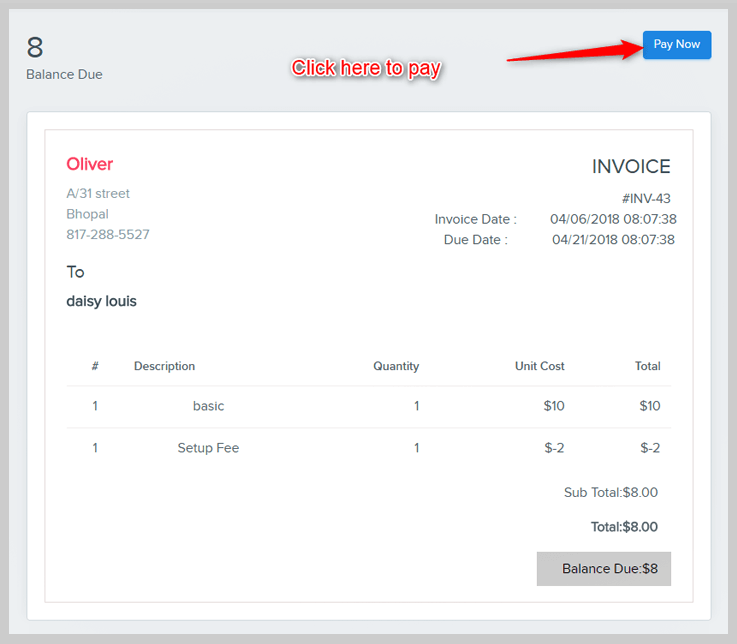 In your inbox, you’ll receive an invoice which has the option of “Pay Now” through which the customers are able to make payments. The Report section will provide you with the details of current and overall changes in the Pabbly Subscriptions application. 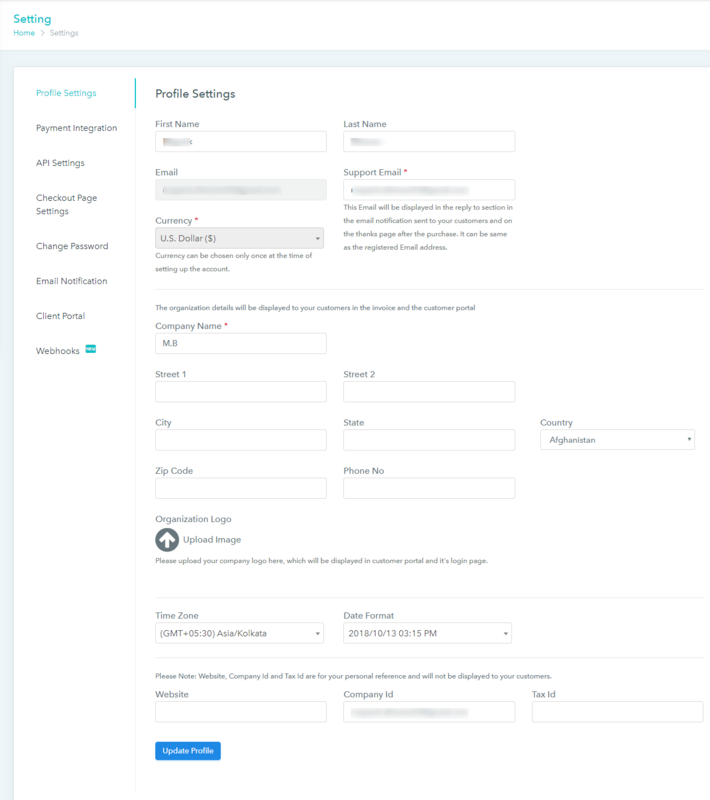 First, you can filter your application reports on the basis of days, weeks and months. Suppose you have filtered your reports for last 30 days. Subscriptions – It will show the total number subscription in the last 30 days. New Customers – The details of all the new customers added in the last 30 days. Active Customers – Shows the details of all the customer who are assigned with any live subscription plan. Monthly Recurring Revenue – Stats of the upcoming payments. All-Transactions – Shows the stats of all transaction either it is failed or success. 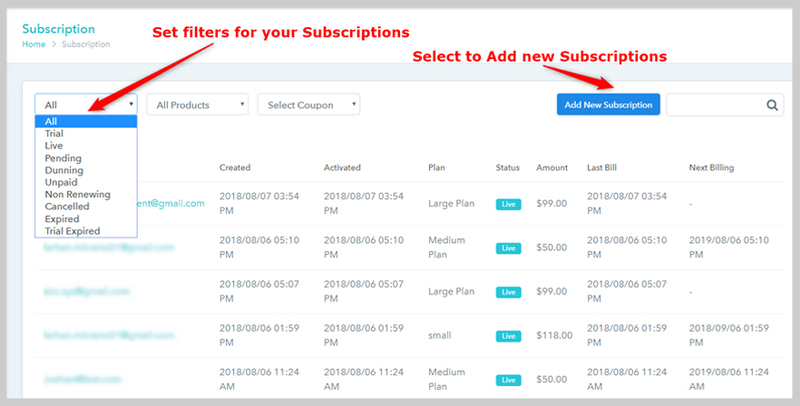 On clicking these section it will provide you full graphical representation date wise which helps you to keep track of your customers and subscriptions. You can change the settings of the following sections. Set up your profile here by filling up your details such as Name, Email, Phone, Currency, Time Zones etc. Then click on “Profile Settings”. Now, click on “Update Profile” button. 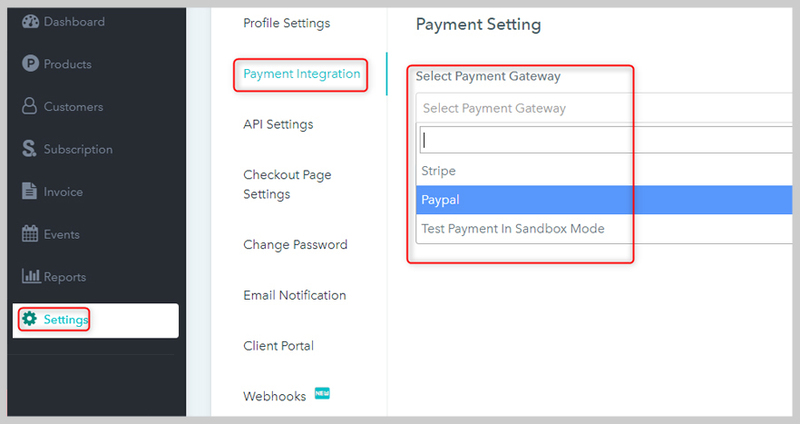 How to integrate with payment gateway? 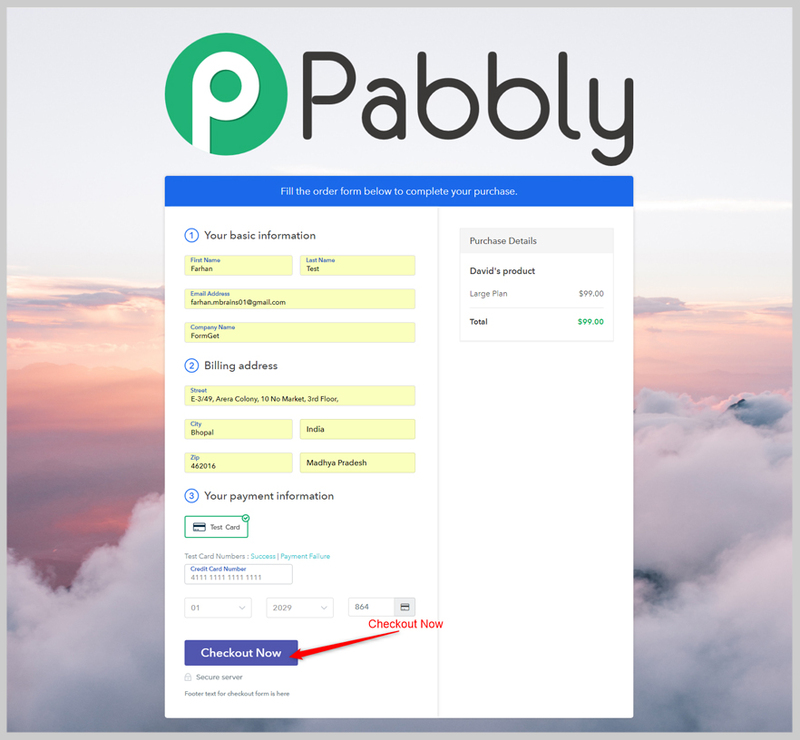 Pabbly subscriptions support Paypal and Stripe and also a test mode to test your transactions. To integrate with PayPal and Stripe, you need a secret key from your PayPal and Stripe account to do so. If you want to integrate with PayPal, you need to enter client ID and Client Secret key. It also provides you the test sandbox mode. Note: You can add only one PayPal and one Stripe payment gateway with your Pabbly Subscription account. You can use our API’s to get useful data from your account and use it to integrate Pabbly Subscriptions in the varied type of applications. Checkout pages are specific to each product’s plan and you can view the checkout page for each plan by clicking on “View Checkout Page” under each plan. Once you embed this link in your website, your customer can subscribe to your plan by giving their personal and card information. How to change the settings of checkout pages? Go to the “Settings” section. Click on “Checkout Page Settings”. You will be redirected to Checkout Page Customizer. In this section, you can enable or disable email notification for different categories. Moreover, you can customize them by clicking on the edit button. 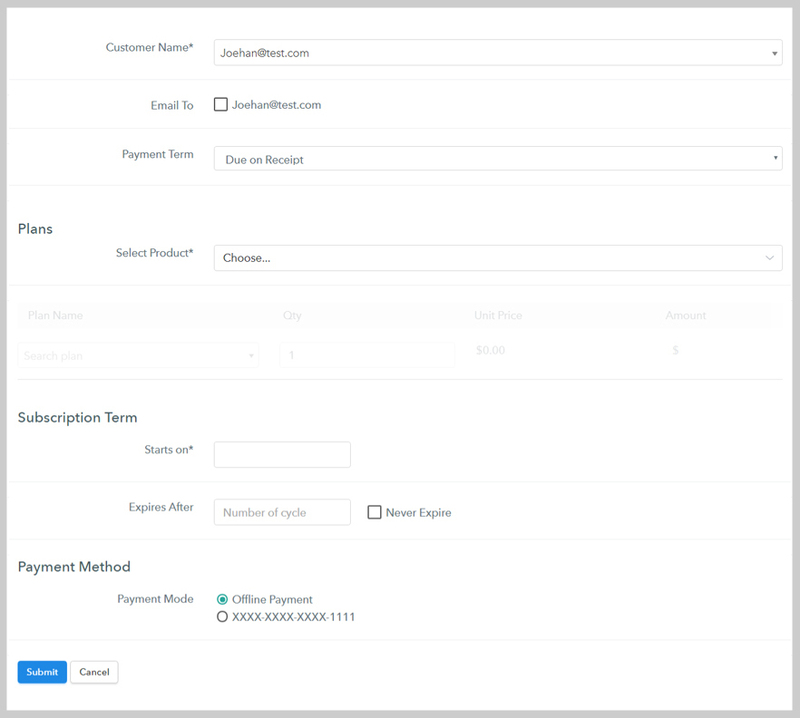 With our Client Portal , you can now offer your customers to monitor their account, edit subscriptions, track transactions, download invoices and many more. You can find more details on our Client Portal here. You can find more details on Client Portal here. 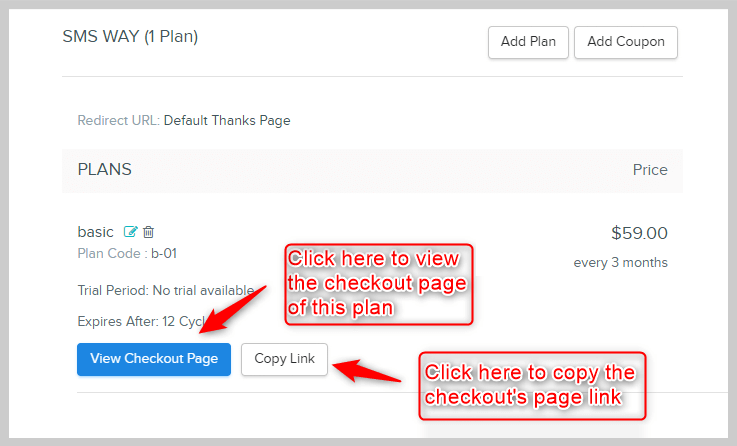 By this feature of Pabbly Subscription, you can make a single checkout page which will have multiple plans. 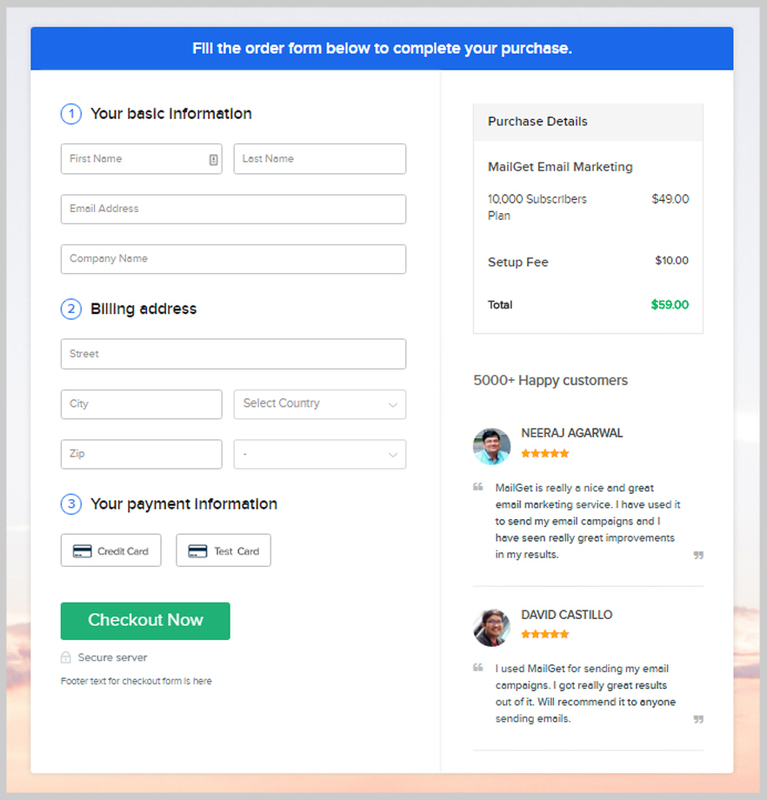 Your customer can choose any of the plans and then complete the checkout. 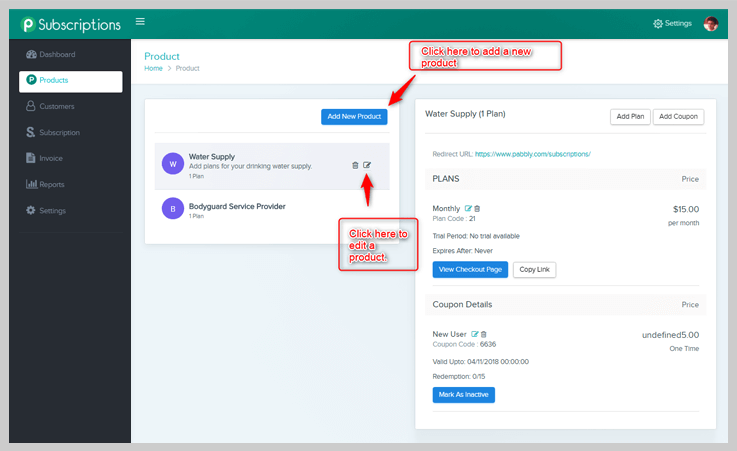 This feature of Paably Subscriptions is also known as Multi-plan checkout page feature. To know more about this please check the documentation. The Pabbly Affiliate Management System is integrated with the Pabbly Subscriptions application. By this system, you can start your own referral program. In this people will sign up to become your affiliate partner and promote your product against some commission. To know more about the affiliate system please check this Documentation.